S&EC provided site location, environmental permitting, design, construction supervision, and monitoring for two sites related to the mitigation for the Triangle Town Center Mall in Raleigh, North Carolina. The Deporter site works included the preservation and enhancement of 1.82 acres of existing freshwater marsh (beaver swamp), a permanent wet detention site, and creation of 17.75 acres of wetlands through construction of low, earthen dams and step-pool structures. 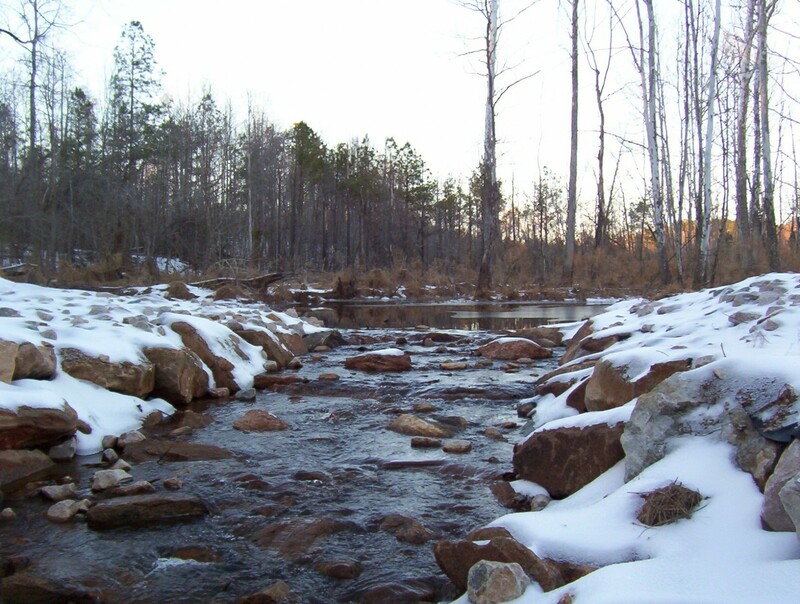 One of multiple Step-pool Boulder Structures installed through constructed "beaver dams' supports wetland hydrology while allowing for high discharge capacity during large storm events.